A group of leading lights from the literary world have launched a book prize in response to what they see as the changing priorities of the Man Booker Prize. The organisers of the new Literature Prize claimed the Booker “now prioritises a notion of ‘readability’ over artistic achievement”.Man Booker administrator Ion Trewin dismissed that idea as “tosh”. The winner of the £50,000 annual Booker prize will be announced on 18 October. “This is not about attacking the Booker or any books on the shortlist,” literary agent Andrew Kidd, spokesman for the Literature Prize, told the BBC. The Literature Prize names among its supporters writers John Banville, Pat Barker, Mark Haddon, Jackie Kay and David Mitchell. An announcement about the committee and funding for next year’s prize is expected within weeks. 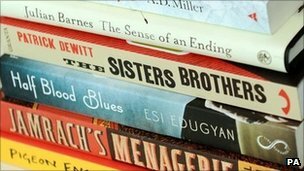 The Literature Prize will be open to any novel in the English language and published in the UK. The Booker competition is only open to those from the British Commonwealth and Ireland. “The prize will offer readers a selection of novels that, in the view of these expert judges, are unsurpassed in their quality and ambition,” said the Literature Prize’s launch statement. “For many years this brief was fulfilled by the Booker (latterly the Man Booker) Prize. But as numerous statements by that prize’s administrator and this year’s judges illustrate, it now prioritises a notion of ‘readability’ over artistic achievement,” it said. Jonathan Taylor, chairman of The Booker Prize Foundation, said: “Since 1969 the prize has encouraged the reading of literary fiction of the highest quality and that continues to be its objective today. Julian Barnes is among six authors featured on this year’s Man Booker Prize shortlist. He is the bookies’ favourite for his novel The Sense of an Ending. 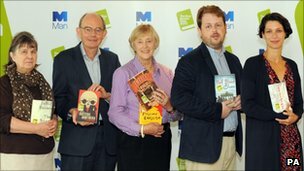 Stephen Kelman, AD Miller, Carol Birch, Patrick deWitt and Esi Edugyan are also on the shortlist. There were raised eyebrows in literary circles when previous Booker winner Alan Hollinghurst’s The Stranger’s Child did not make the final six. Last week, chair of the Booker judges and former MI5 chief Dame Stella Rimington hit back at critics of the judges’ choices, which include two first-time novelists. Her fellow Booker jurors are writer and journalist Matthew d’Ancona, author Susan Hill, author and politician Chris Mullin and Gaby Wood of the Telegraph. Kidd denied that the Literature Prize was about elitism. “It’s a silly accusation,” he said. This entry was posted in LITERATURE and tagged British Literature, Literature Prize, Man Booker Prize by mabokov. Bookmark the permalink.